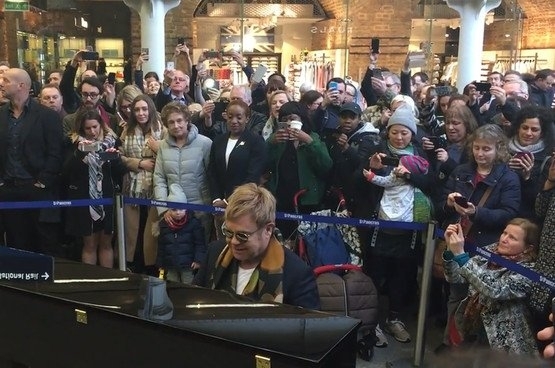 It's not every day you get to see Elton John casually playing the piano in a random London train station. 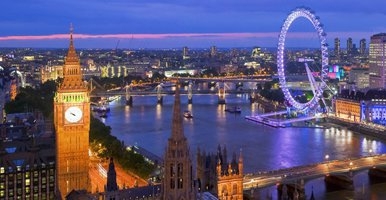 But anyone who happened to be passing through St Pancras on Thursday afternoon however, was greeted by that exact sight. He made a surprise appearance at London's St Pancras station and delivered an impromptu piano performance for commuters and passers-by. Following his performance, John signed the piano with the message: "Enjoy this piano. It’s a gift. Love, Elton John." He has since confirmed that he donated the piano to the station. John later wrote on Instagram: "Surprise!! I popped into St Pancras International to christen the Yamaha piano which I donated to the station. Now everyone can have a play."